Preheat oven to 350 degrees and spray a single-serve ramekin with nonstick spray. 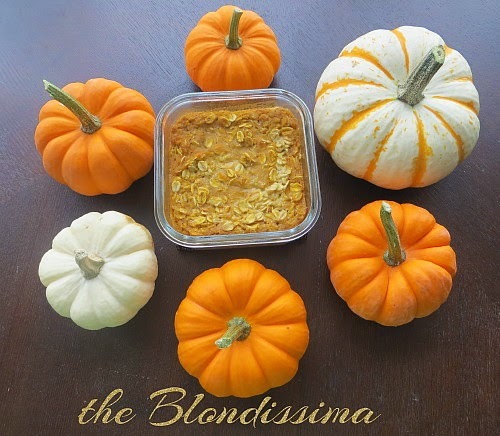 In a small bowl, mix together the pumpkin puree, pumpkin pie spice, vanilla, and maple syrup. In another bowl mix together the oats, baking powder, and salt. Pour into the prepared ramekin and bake for 25 minutes.